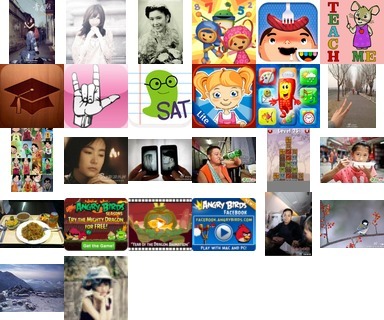 A small number of web images are collected from the VPN trace. These images are first converted to lossless formats (png and pnm). The programs jpeg, jasper and webp are then used to compress the images with various quality numbers and then decompress to a lossless format. The program imgcmp is used to compare the original image and the decompressed images. 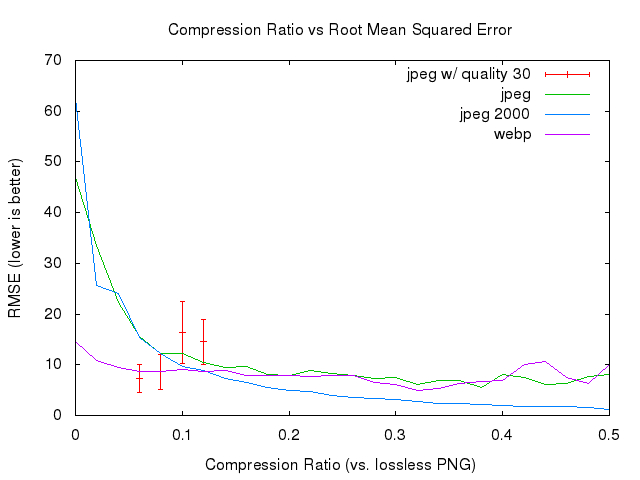 Compression ratio is the size of the compressed file divided by thatof the lossless png file. 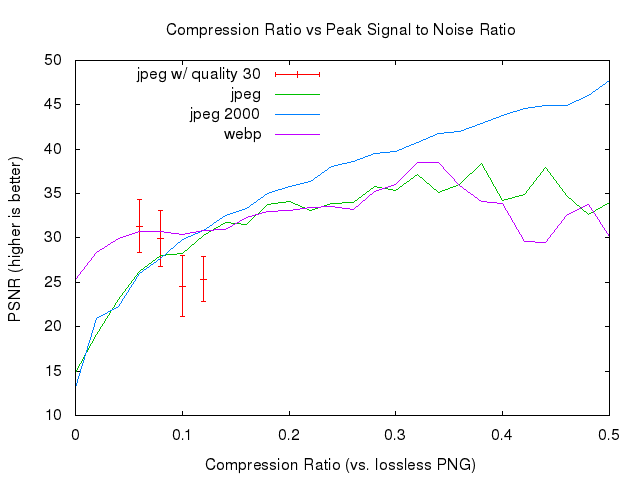 The two performance measures lead to the same conclusion: webp wins when compression ratio < 0.12, and jpeg 2000 wins when compression ratio > 0.12. The performance of jpeg is always comparable to the worse of the other two.